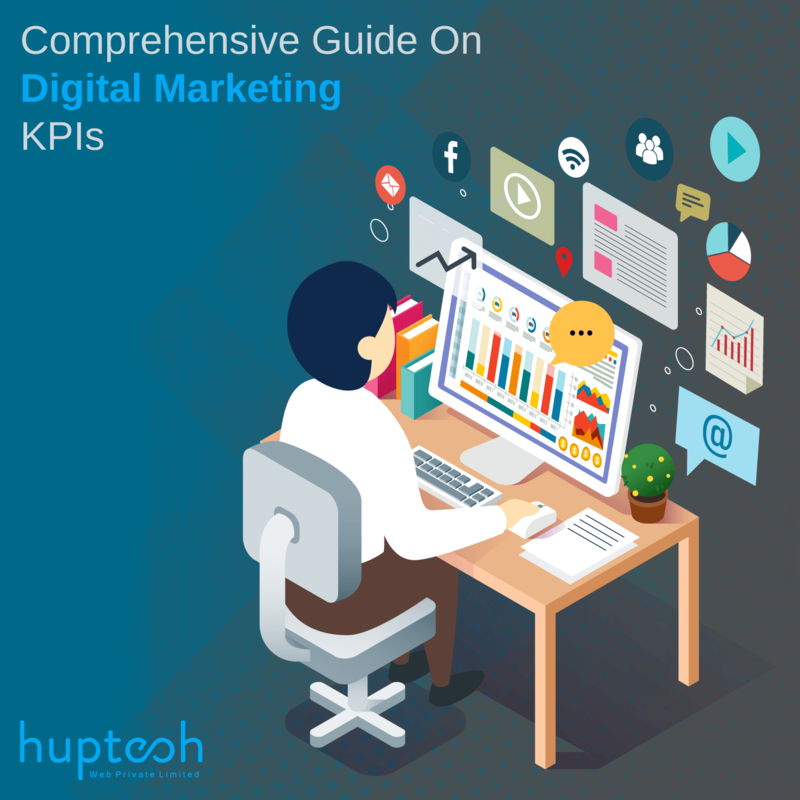 A Glimpse At Digital Marketing KPIs Used By Us. Success can be measured in a lot of ways other than the profit score. Don’t believe me? Let me give you an example that includes two people, A, and B. Consider a scenario where both, A and B are bagging profits. Now, A doesn’t know how his company is profiting. He is unaware of how much revenue is generated by each of his marketing channels. While B precisely knows how much investment is made in the PPC campaigns, or social media, or influence marketing, etc. and what’s the ROI of each of these mediums. One fine day, A sees the numbers of investment and because there’s no crunching of profiting sources, he decides to kill his PPC campaigns, which was a big source of conversions in his business. However, B strategize wisely to balance his PPC investments because he knew exactly how many leads and conversions these PPC campaigns were generating. You can guess the results! The difference between the both was that A was not measuring his key performance metrics and decided to cut off a source of leads on a whim which cost him huge, and B used the KPIs intelligently to determine the flow of his business. Basically, success can be anything, it could be gaining more than expected results on a particular campaign, or generating more leads, driving more conversions, etc. But you won’t know that success if you don’t measure it. Success can only be determined by numbers! We have always made sure to stick to the Key Performance Indicators when it comes to our clients. Of course, each client is different and we might need distinct KPIs for presenting the ROI to each of them, but there are always some constants. Lead generation is not as simple as it seems and let me tell you this, more lead generation is not equivalent to success until the conversion rate covers the cost of generating those leads. This is a crucial KPI which we never dismiss as it is not only the measure of success for our client but our efforts as well. Cost Per Lead Per Channel is the average cost of generating a new lead via a particular digital marketing channel. Why Do We Use This Metric? The mediums of marketing have increased and so has the cost of using each of the mediums. The fact is that each medium performs differently. When the same campaign is generated for Facebook and Twitter, we make sure that we track which of the two is generating more leads in less amount of investment. This helps us decide if we need to focus more on a particular digital marketing channel or ditch any of them. We compare the value of CPL for the mediums we use and focus more on the one whose CPL is lower than the others. SEO is an important part of online presence and it breaks the bounds if you are an e-commerce business owner. We incorporate definitive SEO strategies and there are always some keywords which are nothing less than a goldmine when it comes to sales. These ‘goldmine’ keywords are highly searched by the audience and can change the entire game of online sales if you know which keywords to work upon. Conversion Rate Per Keyword is the precise KPI which helps us determine which keyword converted the maximum leads. It encourages us to use those keywords in the most optimum way possible on all marketing channels as well. Okay, this is a tricky one! We have connected our marketing and CRM tools with Google Analytics and have used the landing page data to determine the organic lead source for every purchase. Pay Per Click, as you all may know, is a marketing channel which faces the most reluctance from clients. This high-budgeted marketing channel is actually cheaper than it seems which is why a KPI for PPC is a must-have for all organizations. We think that the first step towards the success of PPC is the Click-Through Rate. How many people are clicking on the marketing ads is crucial to determine as a lower number is almost equivalent to nil conversions on that particular campaign. It assists us in directing our ad campaigns more effectively. We have improved our ad content by many folds, all thanks to this KPI. We use the advertisement tool that showcases the click-through rate of each advertisement campaign designed for our clients. There are many more performance indicators which we use but these three are the most basic ones when it comes to digital marketing. We will definitely come up with the complex side of KPIs soon! Stay tuned! That is a great tip especially to those fresh to the blogosphere. Short but very accurate information… Thanks for sharing this one. A must read post!